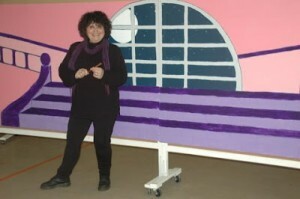 A new experience painting a “backdrop” for the play Cinderella. Not sure if I would tackle this type of thing again HOWEVER I am not saying never. The play was wonderfully funny and the children loved it ! !